We are looking for a Project Manager for our Gig Buddies Croydon project. The project is focussed on benefiting people with learning disabilities and/or autism. We pair someone who has a learning disability with a volunteer buddy, to become friends and go to events together. The Gig Buddies project makes volunteering easier, by enabling volunteers to go to gigs and other events that they might already be going to, but they would now go with someone with a learning disability. 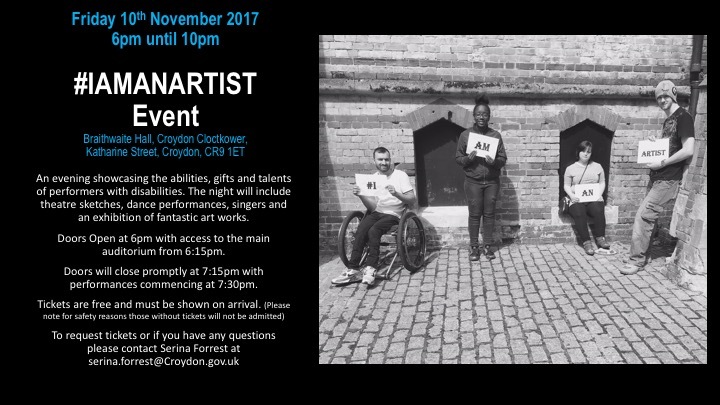 Thanks to grant funding from The National Lottery Community Fund and Croydon Council, we are now preparing to re-launch Gig Buddies Croydon on a larger scale. We are looking for someone with good leadership skills, creativity and passion, to set up, co-ordinate and manage the provision of the project. You will be responsible for managing the Gig Buddies Croydon service, working alongside a Project Assistant and an advisory group of adults with learning disabilities. You will recruit, train and supervise buddies and coordinate monthly Gig Buddy Social events. An important part of the role is to foster and develop professional links and good quality relations with statutory, and other agencies and the community at large. 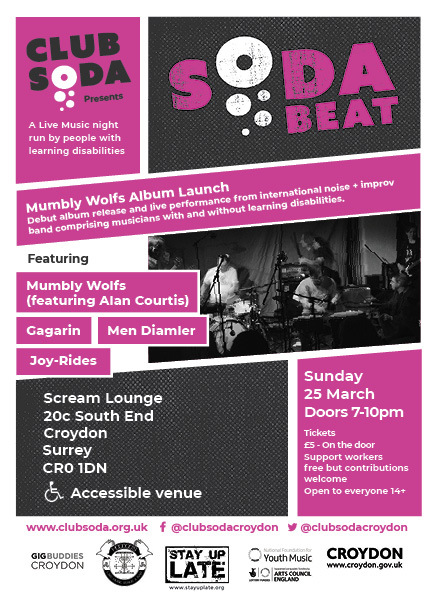 This will include raising awareness and understanding of Gig Buddies Croydon within the community, and the difficulties that those with learning disabilities face, and delivering presentations on the project. The Project Manager will be employed by Club Soda on a one year contract initially, with the option to extend. The post is for 21 hours per week, the work pattern is negotiable. The salary is £30,550 pro rata paid monthly in arrears. You will be entitled to 17 days annual leave per year (includes Bank Holidays). Below you will find links to download a full Job Description and an Application Form. Fill them in and send back to us at the general Club Soda email: info@clubsoda.org.uk. Closing date for applications is midday on 11 March 2019, and interviews will be held on 18 March 2019. Short film about Soda Jam music workshops for young people. Club Soda’s brutalist music project, Royal Boil Alice, performed live at London’s iconic Southbank Centre last week. Here is a film of the performance. Thanks to Drake Music for the opportunity to make this project happen.